Heading into the end of a year filled with volatility, the mortgage lending industry continues to look at its present and future performance as a glass half-empty. According to the latest Mortgage Lender Sentiment Survey by Fannie Mae, the industry’s expectations for profitability at the end of the current quarter, as well as for the last three months of the year, are low. 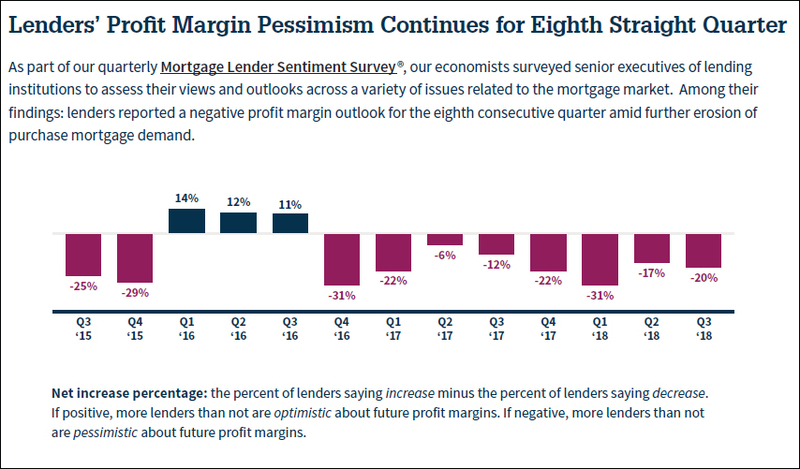 That echoes a trend seen for the last eight consecutive quarters, which all earned more pessimistic than optimistic readings from senior mortgage executives surveyed by Fannie Mae. In previous quarters, low lender sentiment around profit growth was primarily the result of price pressure throughout the market. Of those who had a negative outlook on third quarter growth, 71 percent said “competition from other lenders” was the primary reason. Competition was cited as the top reason for poor performance for the last seven quarters in a row, too. New entrants to the mortgage lending industry, many of them touting tech-enabled efficiency and reduced costs, have likely contributed to this trend. However, for the first time this year, “consumer demand” ranked highly among reasons given for reduced profitability. The net share of lenders expecting purchase loan demand to grow in the coming months reached the lowest level of any third quarter since 2014, when Fannie Mae first began the Lender Sentiment Survey. 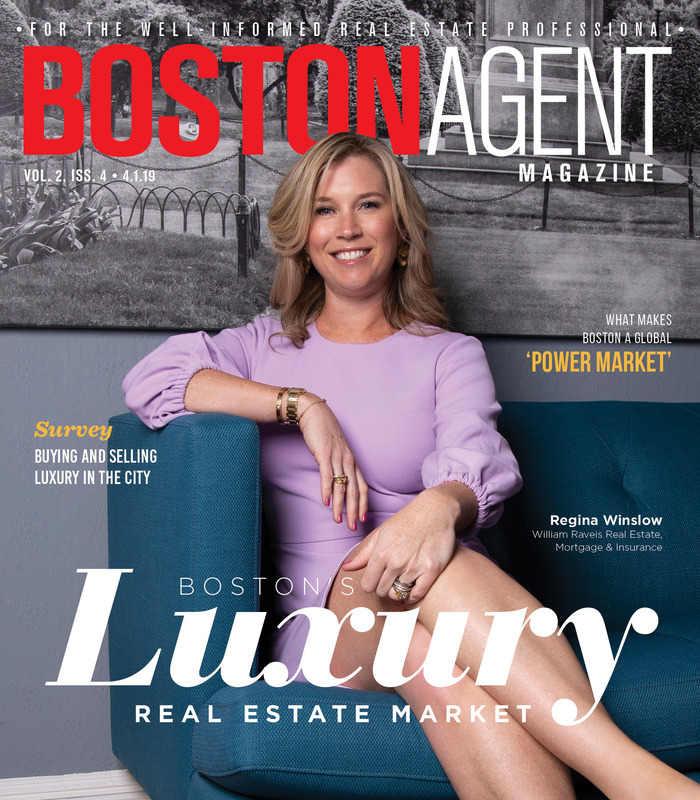 Over the summer, new and existing home sales haven’t met expectations and continue to put a damper on all sectors of the U.S. housing market. This was the primary reason given by the Mortgage Bankers Association in its August forecast, prompting MBA economists to revise their year-end originations forecast downward. The MBA still expects purchase origination volume to grow 3.5 percent over 2017.
Credit standards, still tight historically, may be another issue impacting consumer demand. A relatively small number of lenders surveyed by Fannie Mae reported an easing of credit standards, compared to recent quarters. Behind all of these trends is a dramatic shift in how consumers approach home financing today. According to a recent survey of homebuyers by loanDepot and Mellohome, almost three out of four (73.5 percent) said they began researching mortgage options or seeking pre-approval before they started looking seriously at homes on the market. First-time buyers were even more likely (85.1 percent) to start looking for a mortgage before a home. Buyers may be motivated by news of rising interest rates, too. On Sept. 26, the Federal Reserve once again raised its key federal funds rate, which influences the market rate for other financial products including mortgages. Anticipation of this rate hike and more to come in the next year have sent average mortgage rates higher, but historically, the Fed funds rate and mortgage interest paid by borrowers has not always moved in lockstep. For example, while the Fed’s key rate has increased incrementally since late 2015, according to the Federal Reserve Bank in St. Louis, the average 30-year fixed rate has dithered from week to week or even fell over the same period.